Dynamic Measurement has developed game-changing technology and methods that are the fastest, most economical and safest way to perform geological and geophysical analysis of vast areas of land. Using lightning strike data, our patented and field-proven method, the Dynamic Natural Source Electromagnetic Method (D.NSEMSM), is revolutionizing geologic and geophysical analysis across a variety of industries. At a fraction of the cost of traditional geophysical methods, D.NSEMSM has a much faster time to completion, the data is gathered anonymously, and without traditional geophysical field risks or the accompanying bureaucratic delays. And with our world-wide, exclusive license to use the lightning strike data for geological and geophysical applications, Dynamic Measurement is the only global company that is capable of delivering these results. We began with this one, age-old question: Can lightning really strike twice in the same location? Several years ago a colleague of company founder Roice Nelson noticed lightning striking in the same spot near a salt dome on his Texas ranch, two years in a row. He asked Roice two questions: Does lightning strike twice in the same location? And, can it indicate the presence of hydrocarbons? Roice contacted his friend, meteorologist Dr. Jim Siebert. 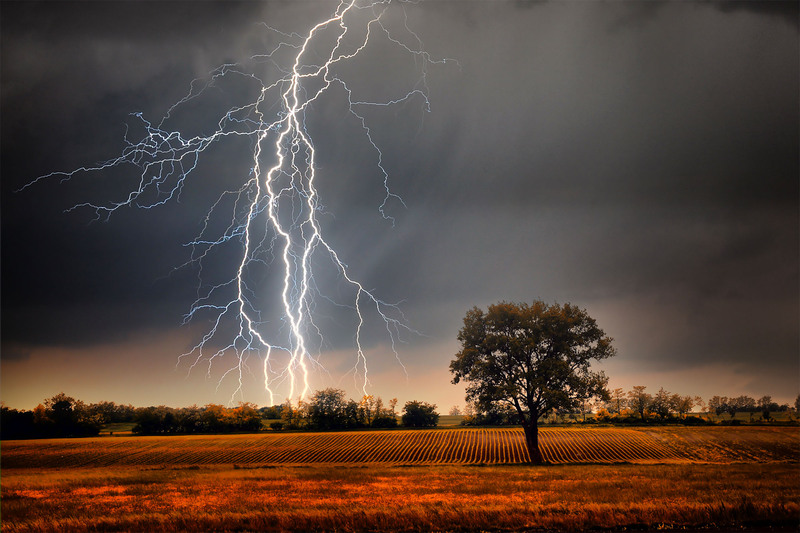 Jim confirmed that lightning can indeed strike twice in the same location, but neither could find any documented connection between lightning strike locations and the presence of hydrocarbons. This was the spark that launched extensive investigation, and in 2008 Dynamic Measurement was formed! Discover the benefits of our non-intrusive & environmentally conscious data collection process. Our cost saving approach to data collection delivers affordable & reliable information. Because our process does not require crews or large equipment, our results are cost effective and safe. Our expansive volume of data is collected and delivered with a faster time to completion.